Mach4 General Discussion / Re: Rename A axis to U axis? Well I'll be damned it worked! I just did the same (added mc.mcSignalSetState without handle in screen load script) but adding /e is not working. I also tried /p MyProfile /e and it still crashes on load. I also tried loading a profile backup from earlier this morning but it still crashes. -EDIT: I remembered that I had used "Package Current Profile" this morning as an extra precaution. I was able to import that package and it worked. I lost a few hours of work but It's better than starting from scratch! I wonder why the /e option didn't work for me though? I am currently upgrading a Mach 3 machine to Mach 4 and all is going well. I built a new PC and I am using a PMDX-424 motion controller to replace the old breakout board/ parallel port setup. I just took screenshots of the mach 3 pin and motor settings and entered those into Mach 4. I was never really sure if any standard were published on this, so I googled it and found an Iso publication. ISO 841 - "Industrial automation systems and integration — Numerical control of machines — Coordinate system and motion nomenclature"
they may be designated U, V, W, P, Q, or R as is most convenient. Rich - Actually I agree with what you said, though it would be nice if ABC could be optionally UVW. 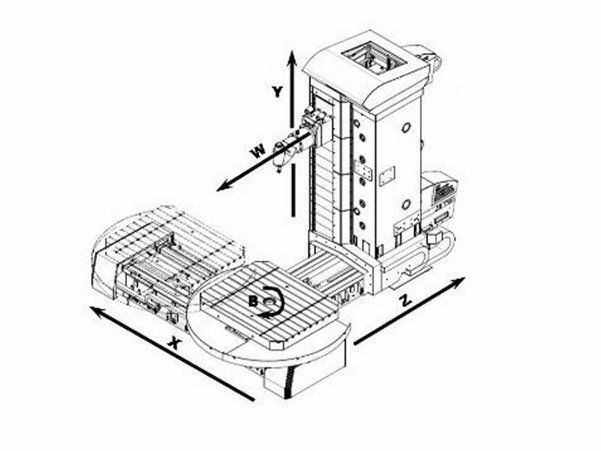 It would allow for greater flexibility in machine building within the 6 available axes, because the axes can currently be used for rotary or linear applications. Rich, I would have to respectfully disagree unless ABC are forced to rotary axis. UVW are linear. 3. 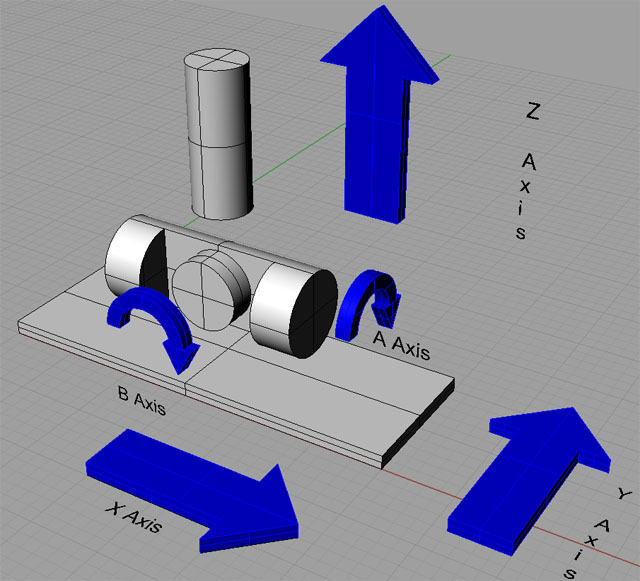 In a VMC, when mounting a rotary that's rotational axis runs parallel to the "X", It is designated the "A" axis. If the rotational axis is parallel to the "Y" axis, it is designated the "B" axis. A typical application of a UV running parallel to XY would be for taper cutting on a wire EDM machine. My machine is a grinding machine and "U" controls the wheel head outfeed. I can do that, but I just wanted to follow what seems to be the machine tool industry standards for axis designation. I have used a lot of different machine tools and every single one has followed this. The main spindle axis is typically the "Z" axis. "X" is perpendicular to the "Z" and is usually (not always) the longer of the two between "X/Y" if they have different travels. 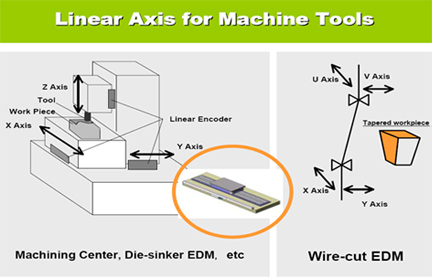 By knowing the cartesian "XYZ" of a machine tool you should be able to point out "ABC" and "UVW" without guessing. If you run a lot of different machines on a regular basis, it's nice to have them follow a standard axis designation to avoid mistakes made due to sloppy/random axis assignments. Craig - That is what I want to change. The axis is technically the "U" axis. It is an auxiliary axis that runs parallel to the X axis. I have already changed the buttons etc... but then the G-code still needs to see "A". I would like to change the axis letter globally throughout the system so it is recognized as "U". Yes that looks nice and clean.